A great tulip for landscaping! Vibrant, lilac-purple flowers open in mid to late spring, creating a colorful display in the garden. The large, 5" flowers are held on sturdy, 22" tall stems that hold up well in the garden and fresh floral arrangements. 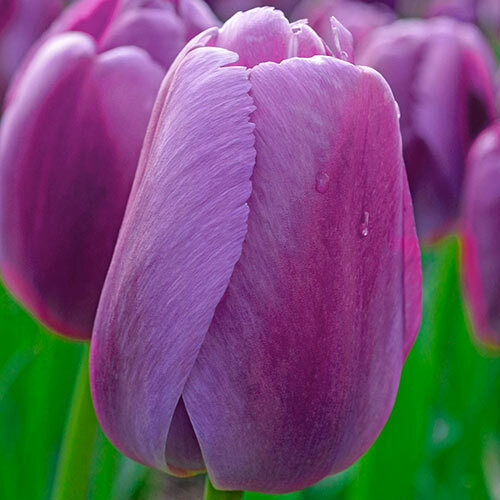 Sports of Darwin Hybrid Tulip Ollioules, Purple Pride tulips perennialize well when planted in well-drained garden beds—so you'll enjoy impressive displays year after year.